Building Performance or Home Performance is a comprehensive whole-house approach to identifying and correcting comfort and indoor air quality problems in homes and offices. IAQ Solutions measures the actual performance of your HVAC System both Active (HVAC Running) and Inactive (HVAC Off). Poor Indoor Air Quality isn’t the end of the world if you hire IAQ Solutions CIEC professionals to identify the contributors to your poor IAQ and provide solutions to improve your Indoor Air Quality. HVAC System IAQ Improvements include Design, Filtration, Dehumidification, and Ventilation Rate. 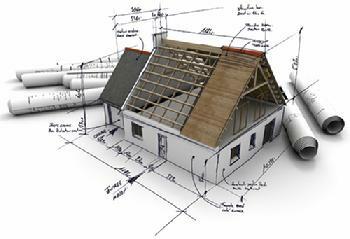 All HVAC Improvements begin with the actual measurements of the Systems efficiency. Once the actual performance of the system is established design and performance improvements can be made. Proper equipment selection important and achieving occupant satisfaction is the principal goal of any HVAC design. Occupant satisfaction is maximized when the heating and cooling equipment are the correct type and size to meet the capacity requirements from the Manual J load calculation. For residential equipment selections, ACCA’s Manual S, is the only procedure recognized by the American National Standards Institute (ANSI). If the Manual J load calculation is done then the next step is to select the equipment that will deliver the necessary heating and cooling. Degraded humidity control in the summer. Occupants may suffer the effects of an increased potential for mold growth. These same conditions also may contribute to asthma and other respiratory conditions. Hot and cold spots between rooms because the thermostat is satisfied but the room is not. Oversized equipment generally requires larger ducts, increased electrical circuit sizing and larger refrigeration tubing. These cause higher installed costs and increased operating expenses. The equipment starts and stops more frequently, this causes excessive wear and can increase maintenance costs and more service calls. In these unfavorable conditions, occupants will experience discomfort and dissatisfaction. The next step is the duct design. For residential air duct designs ACCA’s Manual D is the procedure recognized by the American National Standards Institute (ANSI) and specifically required by residential building codes. 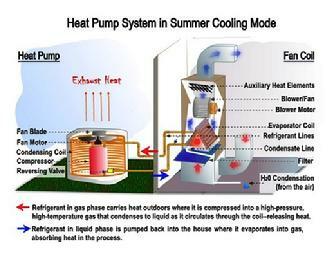 Air is the first word in air conditioning. If the network of ducts carrying the air is not properly designed then the health and safety of the occupant are at risk. The equipment could fail more quickly, the energy costs could rise, and occupant comfort might be sacrificed. 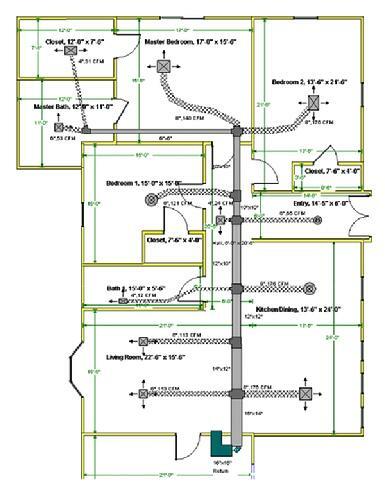 In order for home owners to be comfortable, a duct system must be designed to carry the right amount of air, at the right speed, into the right room. The air to be too slow – the conditioned air will not circulate or mix well in the room. Until recently, the basic ventilation rate formula established by ASHRAE 62.2 back in 2003 — 7.5 cfm per person plus 1 cfm per 100 square feet — has remained unchanged. The latest (2013) version of ASHRAE 62.2 includes a significant change in the decade-old ventilation formula. Under the new formula, high-performance homes will need to be ventilated at a higher rate, namely 7.5 cfm per person plus 3 cfm per 100 square feet. An increase from 54 cfm to 102 cfm, the difference, the 2013 version of ASHRAE 62.2 has eliminated the air infiltration credit. The air exchange rate (ACH) or air tightness of homes can vary greatly based on when and how a home was built and insulated. Older homes when tested with a blower door to determine the air infiltration and air exchange rate can often exceed 1.0 air change per hour (ACH). The ACH is the rate at which the air inside the house is replaced by outside air every hour. The higher the ACH rate the draftier the home which in turn makes it more difficult for the HVAC units to maintain a constant indoor temperature. The average US home built in the last 20 years (without outdoor air supply) will have an ACH in the range of 0.35 to 0.70 ACH under normal wind and temperature conditions. This level of ACH means the air inside the home is replaced by outside air through leaks and gaps in the building envelope as often as every 90 minutes in older leaky or drafty homes but only every four or five hours in newer and tighter energy efficient homes. The typical spray foam SPF insulated home falls in the range of 0.10 to 0.20 ACH. These homes experience an exchange of air every five to ten hours. The reduction in heating and cooling loads is significant, and the increased efficiency in thermal comfort is substantial. With the lower ACH, the SPF insulated home will begin to accumulate stale contaminate laden air. The lower ACH is energy efficient but not good for indoor air quality. These lower ACH rates are making it necessary for many new homes and all homes insulated with spray foam SPF insulation to add mechanical outdoor air supply. With the addition of mechanical outdoor air supply we can take control of ACH and ensure the source of the air, its level of humidity, and its cleanliness. Temperature, humidity, and outdoor debris can be altered mechanically ensuring that homes receive dry, clean, comfortable, outdoor air in exactly the right amount. This is a scenario that promises much improved indoor air quality. It is in fact the way clean, healthy air is ensured in our hospitals and in manufacturing facilities that rely on cleanliness during production. The goal of improving the Indoor Air Quality is going to begin with particulate reduction. 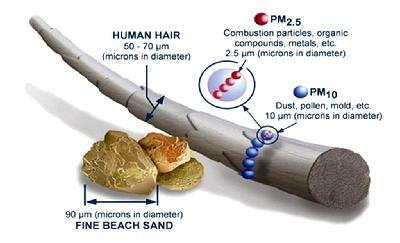 Particulate matter (PM) is the name for a wide range of particles that are small enough to be carried by the air, therefore; breathed in by people. They can be solid or liquid, or a mixture of both. The size of particles may range from 0.005 µm to 100 µm in diameter. In comparison, the average size of a human hair is 60 µm. PM10 are particles that are 10 µm or less in diameter. PM2.5 are particles of 2.5 µm or less in diameter. The finer particles pose the greatest threat to human health because they can travel deepest into the lungs. A toxin present in bacteria (endotoxin). An EPA economic analysis of repairs performed at an elementary school showed that if $370 per year over 22 years (a total of $8,140) had been spent on preventive maintenance, $1.5 million in repairs could have been avoided. According to the American Lung Association, environmental tobacco smoke (ETS) aka "secondhand smoke," a major indoor air pollutant, contains about 4,000 chemicals including 200 known poisons, such as formaldehyde and carbon monoxide, as well as 43 carcinogens. According to the EPA, Women who work in the home have a 54% higher death rate from cancer than women who work outside the home. Biological pollutants, including molds, bacteria, viruses, pollen, dust mites, and animal dander promote poor indoor air quality and may be a major cause of days lost from work and school. In office buildings, heating, cooling, and ventilation systems are frequent sources of biological substances that are inhaled, leading to breathing problems. To help prevent growth of mold when humidity is high, make sure bathrooms, kitchens and basements have good air circulation and are cleaned often. The basement in particular may need a dehumidifier. And remember, the water in the dehumidifier must be emptied and the container cleaned often to prevent forming mildew. An estimated one out of every 15 homes in the United States has radon levels above 4pci/L, the U. S. Environmental Protection Agency-recommended action level. Radon, a naturally occurring gas, can enter the home through cracks in the foundation floor and walls, drains, and other openings. Indoor radon exposure is estimated to be the second leading cause of lung cancer. A recent report by the National Research Council estimates that radon is responsible for between 15,000 and 21,000 lung cancer deaths each year in the United States. Formaldehyde is a common chemical, found primarily in adhesive or bonding agents for many materials found in households and offices, including carpets, upholstery, particle board, and plywood paneling. The release of formaldehyde into the air may cause health problems such as coughing, eye, nose, and throat irritation; skin rashes, headaches, and dizziness. Many asbestos products are found in the home, including roofing and flooring materials, wall and pipe insulation, spackling compounds, cement, coating materials, heating equipment, and acoustic insulation. These products are a potential problem indoors only if the asbestos-containing material is disturbed and becomes airborne or when it disintegrates with age. Heating systems and other home appliances using gas, fuel, or wood, can produce several combustion products, of which the most dangerous are carbon monoxide (CO) and nitrogen dioxide (NO2). Fuel burning stoves, furnaces, fireplaces, heaters, water heaters, and dryers are all combustion appliances. Household cleaning agents, personal care products, pesticides, paints, hobby products, and solvents may be sources of hundreds of potentially harmful chemicals. Such components in many household and personal care products can cause dizziness, nausea, allergic reactions, eye/skin/respiratory tract irritation, and cancer.